It seems that nearly every day we’re inundated with stories of the decline of retail chains, and of the destruction that will be left in their wake. But is it also possible that somewhere in the decline of retail chains could create hidden opportunities for the rest of us? The conventional argument is that retail chains are succumbing to online sales, and the growth of Amazon.com in particular. While I think that’s certainly part of the story, I think that the bigger reason is that we’ve reached the point where the business models of the big retail chains are now failing. I’ve covered this point before in America’s Malls are Overpriced and Running Out of Time. And while that article specifically deals with malls, it’s impossible to separate the reality that every one of those malls is filled with big retail chain stores. The enclosed shopping mall has become the divining rod of retail, since so many chains are located in a single building. We often recognize enclosed shopping malls as the reason why the downtown shopping areas of old faded away. In fact, it wasn’t so much the malls themselves as much as it was the big retail chains that filled not only the enclosed malls, but also thousands of strip malls across the country. As these retail chains populated suburban and exurban neighborhoods, they sucked the life’s blood out of nearby downtowns. Is it radical to believe that the current decline of retail chains may ultimately lead to a restoration of the downtown mom & pop store, or more likely, an updated version of that concept? Let’s dare to consider it. As chains shrink and disappear there will be more opportunity for small businesses, of the type that were originally destroyed by the chains. It might be in retail, but then it might be in parallel business operations. After all, many of the big chains have spread their tentacles into all kinds of side ventures (pharmacy counters, optical centers, equipment rentals and repairs and eateries). As they fade from the scene, many of these services could be provided by small independents. It’s actually not a crazy idea. Small independents have an opportunity to use the web and online sales as a way to boost revenue. They won’t be completely dependent upon “street traffic” for business, but rather a combination of street traffic and online operations. Perhaps we should begin to think in terms of the hidden opportunities that will open up as large retail chains reduce operations, and pull out of neighborhoods and communities. One of the often unappreciated aspects of retail chain closures is the reduction in jobs. 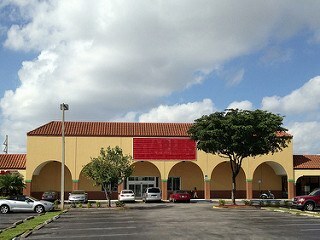 The closure of a single large department store can result in the loss of well over 100 jobs. This is magnified by hundreds or even thousands of store closings. We often hear about how people become either underemployed or even unemployable as these jobs disappear. But it’s also a fact that some people – I like to believe most – simply refuse to sit around and be unemployed. Some will find jobs in new career fields, but some others will turn to self-employment. As the big retail chains fade, opportunities for self-employment can present themselves in the voids left behind. It will certainly take imagination, as there’s no way to go back to doing business the way it was done 50 or more years ago. But change of any kind, even and especially negative, always presents new hidden opportunities. One of the other big issues with widespread store closings (which we should believe will only accelerate in the next recession) is that a lot of commercial space will empty out. That has a number of repercussions, both good and bad. The bad side is that empty buildings are never good for business. In addition to the fact that they give an area that telltale “zombie” look, they can also breed vagrancy and crime. It’s even possible that some structures, left abandoned too long, can become hazardous. But the flipside of all that abandonment will be lower rents. That could be creating hidden opportunies, since high rents have been one of the biggest problems for small businesses in recent years. As the big chains moved into areas, occupying the majority of available commercial space, rents became inflated. The independents, lacking the corporate bankrolls of the chains, can’t afford those rents. But as the retail chains recede, plenty of commercial space – much of it in prime locations – will open up. Since it’s unlikely to be filled by new retail chains, the spaces will likely sit empty for a very long time. As they do, rents will collapse. Sure, landlords will hang on and try to get high rents for as long as they can. But eventually they’ll either get desperate or they’ll go bankrupt. When that happens, properties will change hands at much lower prices, enabling rents to fall. When they do, small independent businesses may finally have a chance to get reasonably priced spaces to run their businesses. They’ll be very different businesses than the ones that they’re replacing. For example, I remember back in the late 1970s and early 1980s, when the economy had one of the first of those “worst recession since the Great Depression” episodes, buildings that were once occupied by departing retail chains were converted to flea markets. Since there were no major retail tenants to take their place, the 200,000 square foot storefront, once occupied by a single large retailer, was parceled out to as many as 100 independent businesses. What was amazing was that those flea markets tended to draw more people than the original stores. It’s not hard to see why. They were packed with dozens of small merchants selling a wide variety of items at discounted prices. I don’t expect to see a carbon copy of that experience in the near future. But it does point out that the decline of retail chains are creating hidden opportunities in unexpected ways. I suppose that my view on this has been skewed at least somewhat by our move to Northern New England nearly three years ago. When we lived in Atlanta, a booming Sunbelt metropolis, the landscape was dominated by the big retail chains. The situation is quite different in Northern New England. Yes, the big chains are here, but there are many towns up here that are devoid of the chains, and have thriving business districts, filled with small, independent businesses. This is particularly true of the many small cities and towns that dot the New England seacoast. Many are too small to support the big chains, and tend to operate mainly on seasonal summer traffic. But many of those small shops aren’t just retailers. Some are actual enterprises, like privately owned restaurants, bakeries, furniture shops, art shops and craft shops, that create much or all of their merchandise on site. Though these small independent shops may seem like a throwback to a bygone era, they may actually be a hint of what’s to come. Very little of human activity is actually new – most of it is a “new and improved” version of something old. And while the internet might be something truly new in human existence, it has proven to be a great equalizer, enabling small businesses to peddle their wares beyond their own communities. 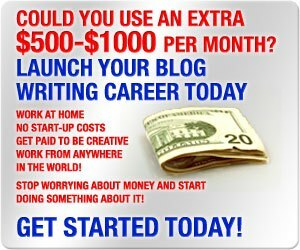 This blog and my own reinvented career of freelance blog writing is an example of this reach-out capability. Please consider this carefully. It can make a real difference for any business venture you’re considering. I realize that if you read the headlines today it seems as if online retail is growing like a blob, consuming everything in its path. It’s suggested that it’s only a question of time before bricks-and-mortar retail goes the way of the buggy whip. I disagree. Physical retail is changing fast, but it’s mostly transitioning into something different. That’s very different from complete extinction. And there are reasons why this is true. One of the inherent limitations of online sales is that they’re very private, very quiet business transactions. The advantage of a physical store is that a person can go into one and actually have interaction with living, breathing people. That’s at least part of the reason why people go to brick-and-mortar stores, and why they always will. There’s also the ability to get “out and about”, which is something that as human beings we all need to do. This guarantees some sort of future for physical retail. But I believe this is also one of the problems retail chains are struggling with – and they probably don’t even realize it. Because of the need to constantly turn big numbers, the chains have near complete reliance on price. This is causing them to minimize their personnel, down to skeleton crews. It’s possible to go into to some large stores and not meet any employees prior to the checkout line. And you may not even meet them there, if you go through the self-checkout. But people will always seek out places to go where they can encounter other people, as well as interesting experiences. You can’t do that shopping on the web, and increasingly, you can’t do that with the chains either. There’s a place for the small independent retailer or shop somewhere in that mix. It’s been true for thousands of years, and we shouldn’t expect it to change in our lifetimes. An excellent example of this concept is Starbucks. When the company first began in the 1980s, most people thought it was a ridiculous concept. How could you possibly make money selling individual cups of coffee? And coffee… too ordinary! Nobody’s going to pay for that! After all, coffee is one of those routine items that you can get at home, and for only pennies a cup. That was the view of Starbucks 30 years ago, before the great designer coffee surge. Today the view of Starbucks is a store in every community in the country. They also have competition from other coffee chains, while McDonalds and Dunkin Donuts tag along with their own versions of upscale coffees. Whooda thought, back in 1985? I suspect the reason for Starbucks’ success has to do with that human need for interaction with other people, and the need to get out and about. Starbucks took a simple concept, like coffee, and built a multibillion-dollar business on it. There are more Starbucks stories waiting to be written, even if they never expand beyond one or two shops. In the wake of fading retail chains your “ridiculous” idea may not be so far fetched any more. In fact, the coffee shop concept may be a solid business idea in itself. Starbucks succeeded largely because they created an environment where people could come together and socialize – someplace that wasn’t a bar. That was a dramatic shift. In doing so, they reaffirmed the validity of socialization as a business concept. I don’t even like the coffee, and it’s way overpriced, yet I confess to spending quite a bit of money at Starbucks, either meeting with friends or with business clients. But Starbucks has recently hit on hard times. I don’t think this hints at a problem with the coffee shop concept, but more with the fact that Starbucks itself, like a lot of big retailers, has reached the point of saturation. There’s at least one Starbucks in every community in the Western world, and the company itself has turned into a full-fledged cliché. But that can be an opportunity for a small operator to fill the gap. People still want to go to coffee shops for the socialization and atmosphere – they’re just less likely to do it at Starbucks. You can take the basic Starbucks idea and build on it. For example, can you make it more affordable? Can you offer a warmer, more intimate environment? Can you offer fewer exotic coffees with a wider selection of food items? I’ve been in some successful independent coffee shops, so I know this is doable. There are even companies that can help you open your own coffee shop if you don’t want to do it alone. Think about this concept in connection with a lot of the retailers that are now in trouble. Their basic business ideas are solid, otherwise they’d never have grown the way they did. But somewhere along the road they lost their way. Take a look at the basic business they’re moving out of, and think about how you can do it better. And as a small independent, you may be in a better position to do it. I read somewhere that the Chinese symbol for disaster and opportunity are one and the same. I suspect that may turn out to be the case with the decline of the big retail chains. While the situation may look like in unmitigated disaster on the surface, it could open up real opportunities for budding entrepreneurs. It’s entirely likely that a small business that blends both a physical location and online sales from the get-go will have a reasonable chance of success. That’s not a stretch either, given the number of people who are currently selling on sites such as Amazon.com, eBay, Etsy and even Craigslist (which I’ve done successfully in the past). The combination of a physical location and an online presence seems to be a winning mix for a lot of businesses. A recent Business Insider article reported that Target’s brick-and-mortar stores are key to its digital growth. I’ve read similar reports on Walmart and Macy’s. It turns out that online sales are higher in areas where the chains have a physical store. People are shopping online, but picking up their merchandise at the store locations. My sense is that this blending of brick-and-mortar location and online sales will be the future of retail, and probably of most businesses in general. As big retail continues to recede – from a combination of a failing business model, overexpansion, over-indebtedness and too much “bigness” – voids are being created. We might be in the early stages of an economic sea-change that will create a new wave of small business opportunity. If you’re not sure where your career is going, or you’re looking to reinvent yourself, it’s time to think like an entrepreneur. Use localized search engine optimization to drive your online visitors to your physical stores (a good friend of mine has been extremely successful doing this in several local markets). Build stronger customer relationships by beefing up social media marketing. Get more competitive with a robust marketing mix. Leverage reviews and testimonials to show customers how awesome you are. There’s plenty of this type of information available throughout the web. That’s kind of the point. It’s time to embrace the web, and the online business opportunities it may present. The combination with a physical location could be the key to success. Here’s another way the internet can help: you can start a store or shop of some kind on a part-time basis, and supplement your income by doing gig work, which can often be done remotely, and even from a storefront. Does all this seem Impossible? Finding success in life usually means thinking outside the box. Only when you do, do you begin to start finding or creating hidden opportunities, the kind that are all around us all the time. In today’s world, with the internet, success often comes from blending several strategies until one of them becomes dominant. At that point, you’ll have created a whole new career for yourself, and possibly even for your whole family. In a real way, the big retail chains blew this opportunity. Being well-established with hundreds or thousands of physical locations, many only reluctantly embraced online sales. But their high operating cost structures are making it very difficult to play catch-up. This is a major reason why so many are becoming irrelevant, and either having a close up large numbers of stores, or completely go out of business. It’s entirely possible that their loss could be our gain. While reading the flood of stories about hard times for the big retail chains, we should be sifting for hidden opportunities in the rubble. Do you have any business ideas that you think could work in a post-retail chain world – particularly in combination with the internet? I went to a festival. A vendor was selling lovely, quality dresses. I bought two dresses for the price of a similar dress in a retail store or catalog. This lady had a dressing room set up in her tent! She placed her business card in the bag that contained my dresses. Her Square Space email receipt also contained the same information. She not only travels around the country to various festivals, she sells on Amazon and Ebay for the same low prices! I also had an experience with my photography. I take pictures almost every where I go. I edit them with some awesome software. I often put them on Flickr. A big design agency found one of my photos online on Flickr. They emailed me and asked if I would consider selling that photo (I retained rights to the photo. Very important unless you are doing work directly for an agency and then they would retain rights. It’s one reason I don’t enter most contests in magazines. They want to retain exclusive rights even if they don’t use your photo!) I got a few hundred dollars for one picture. That picture was in turn put into a design for a mural in a MacDonald’s that is in the locality of the photo. The picture was of the train station in Orange, VA.
Wow, Mary, there’s a good example of what can happen when you just “show up” willing to try (both you and the lady). There’s a lot happening out there, and a lot of ways we can slide in, but only if we’re open to the possibilities. I know people who are doing crafts and selling them on the web, and often wonder if they could expand by offering their products to small, independent retailers. My wife and me and my kids are planning to start an online store to sell what ever we come up with, whether our own creations or products from others we like and want to sell. In doing that, we can see the potential to expand into brick-and-mortar retail. It takes expanding the mindset, but I think it’s doable. The interesting thing I see is that while consumers are abandoning the chains, they’re still buying from small online providers and well-located private shops. We went into a shop in Gloucester, Mass, that sells crafts. The owner makes most items in the shop. Like the lady you met, he goes around the country and sells his merchandise, and sometimes does custom work. His storefront is his workspace/showroom where he creates and sells, but he also sells elsewhere. I didn’t ask if he has an online store, but I suspect his out-of-state sales are being driven by a website, or maybe affiliate arrangements. Then there’s a privately owned music shop here in our town that’s expanding, and also provides music lessons. They said they aren’t even worried that the chains will hurt their business. I think people like the human touch that they get in the privately owned shops, since they don’t get that in the chains. I sense that in the middle of the retail chain meltdown, opportunities are opening up for us regular folks who up to this point have been shut out by the chains. You’re photography idea sounds like it has real potential. Everyone on the web is looking for photos. I wonder if you could create a website offering custom photos for websites? They’re always looking for specific photos that aren’t always available on the photo sites. But that’s just one example. BTW, a lot of McDonald’s are using local photos in their stores, and they aren’t the only ones (I think Logan’s and Friendly’s do too, and so does Steak N Shake). Maybe you can offer your photo services to them, now that you have a “credit” in a McDonald’s? Hi Mary – Thanks for sending that link, it gives hope for what these places can become. I think the best ones were the ones that had mixed commercial and other uses, like training center/retail. It’s good because when malls shut down, the surrounding area can turn into a ghost town, or worse, a haven for crime. The repurposing of theses malls is a testament to the human spirit. But notice that in each case, the repurpose didn’t happen until the mall closed. The redevelopers were almost certainly able to buy the properties for a fraction of their original cost, which made it feasible to turn the properties into something useful. I’m thinking there’s just too much retail space out there, and maybe the days of a building with 100, 200 or 300 retail stores is simple overkill. Mixing with other purposes is more practical, in a world of online shopping.